Since we became a 501c3 non-profit organization, we’ve written countless grants. Some big, some small—you never know if you’re going to be the right fit. 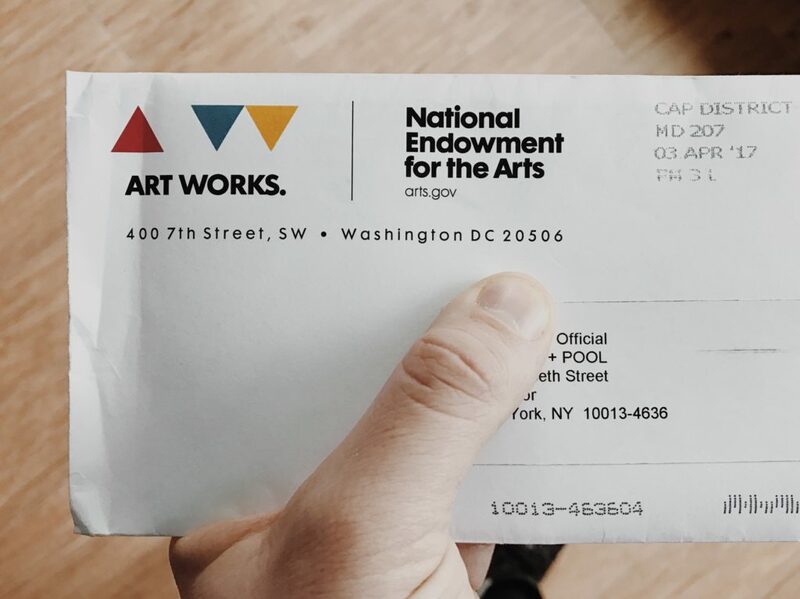 We applied to the National Endowment for the Art’s Art Works grant thinking they’d be stoked on our programming initiatives, and thankfully, they were: we received our first official support from the United States Federal Government. A pretty big moment. We couldn’t agree more. Thank you, USA.